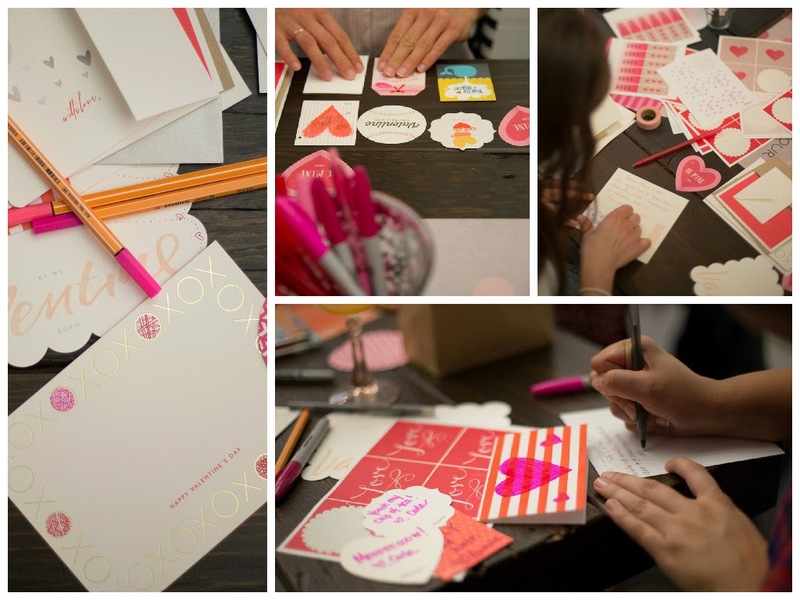 Classroom Valentine cards along side flat stylish XOXO cards with special stickers begging to be sent. How can one resist? 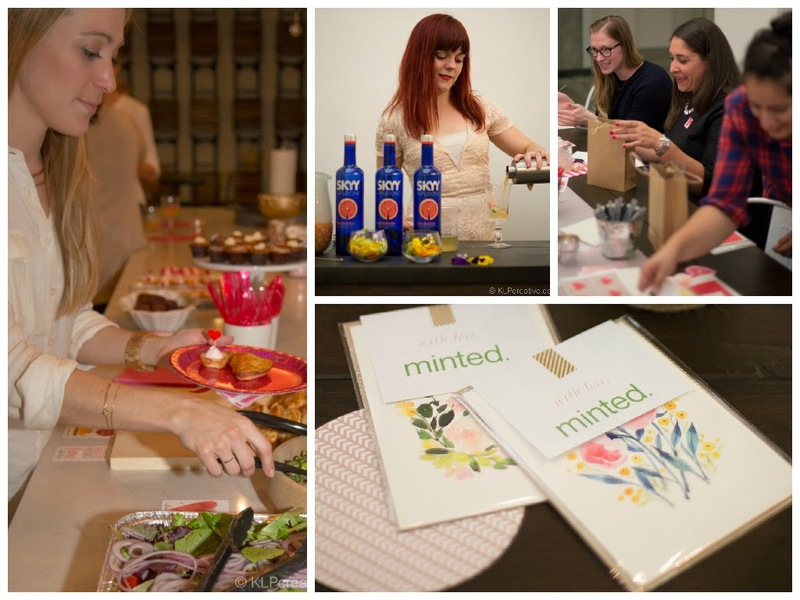 The long conference table in the newly renovated Minted offices was the setting for our snail mail social. Knowing guests enjoyed themselves seeing old friends and meeting new ones while doing something super creative and thoughtful is the best part. This was the biggest Happy Mail Happy Hour yet, and I must say even with the larger party size, it still felt very cozy, warm and purposeful. 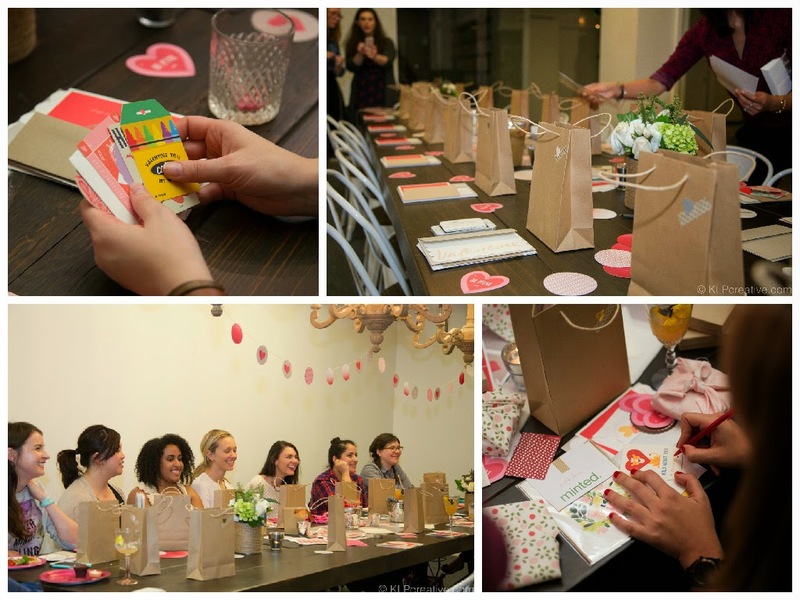 I love a good girls’ night and with a vibe like this, I can’t help but be so grateful for the opportunity to share these great cards with friends while spreading some love through snail mail. This is the kind of Valentine’s Day Celebration I can get used to! 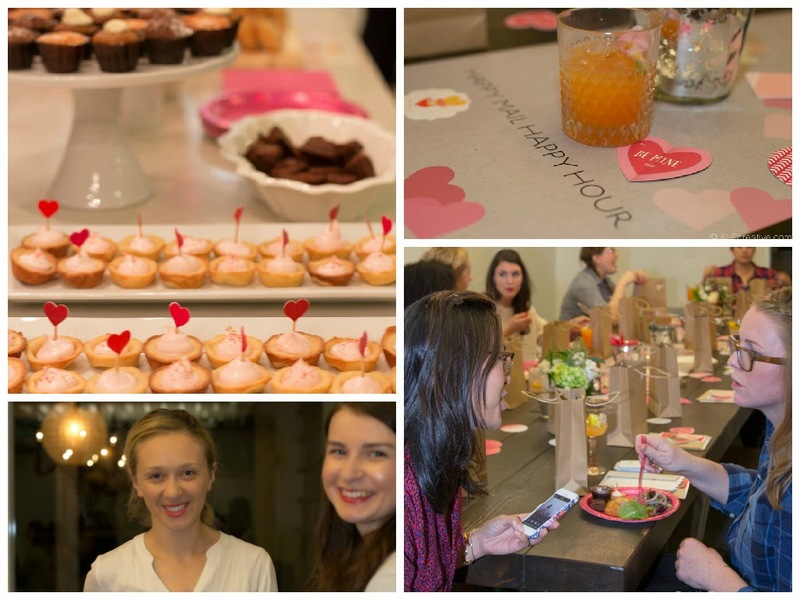 Treats included empanadas, salads, & gluten free cupcakes. Camille Simmons made the loveliest cookie tortes. 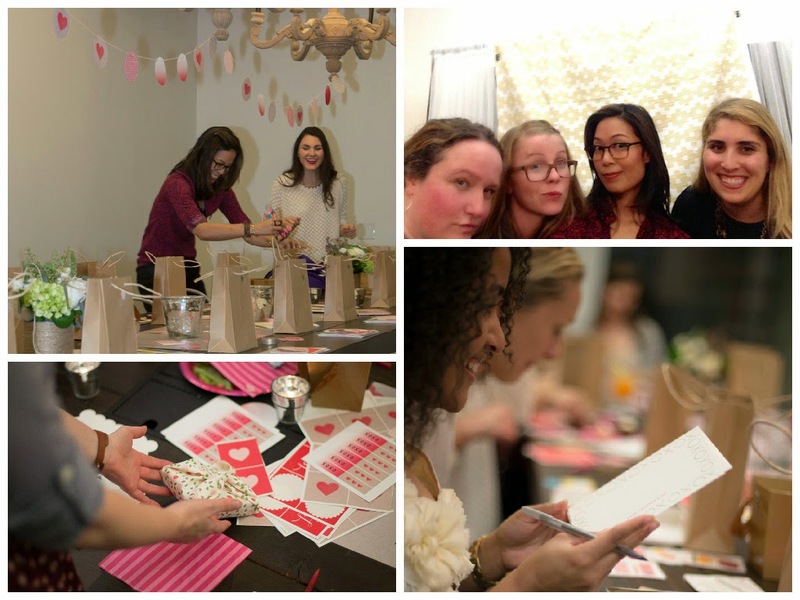 Filling gift bags, getting our selfie stick on, fabric wrapped boxes & writing sweet nothings, that’s what HMHH is made of! All kinds of yumminess: food, drinks, company, & art prints!! Loving how adorable these cards and prints are? One lucky winner will be getting a $125 prize to spend on Minted product on Minted.com by entering below tonight through Saturday, February 7 at 11:59pm EST! A winner will be chosen at random and announced on Sunday, February 8. Won’t you join? Juice equal parts grapefruit and mandelo juices. 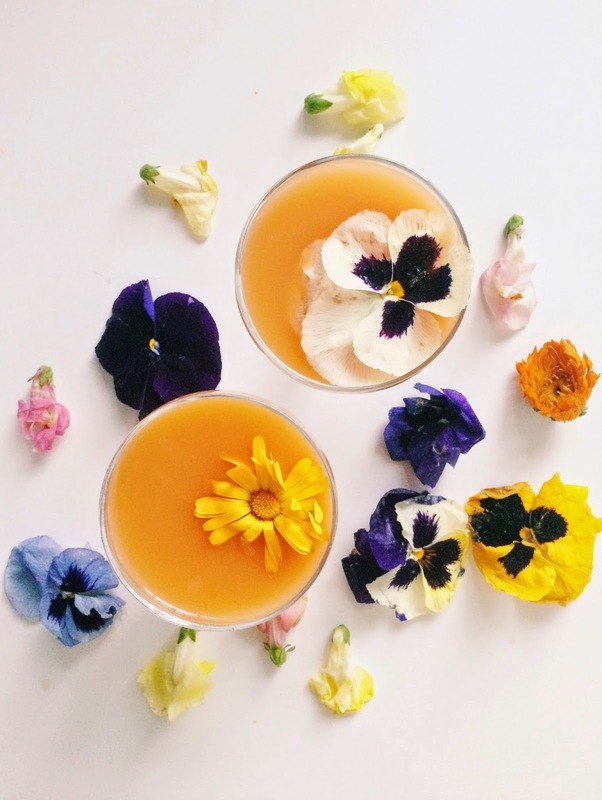 Add all ingredients except flower garnish to a cocktail shaker with ice.Strain into a glass with crushed Ice. 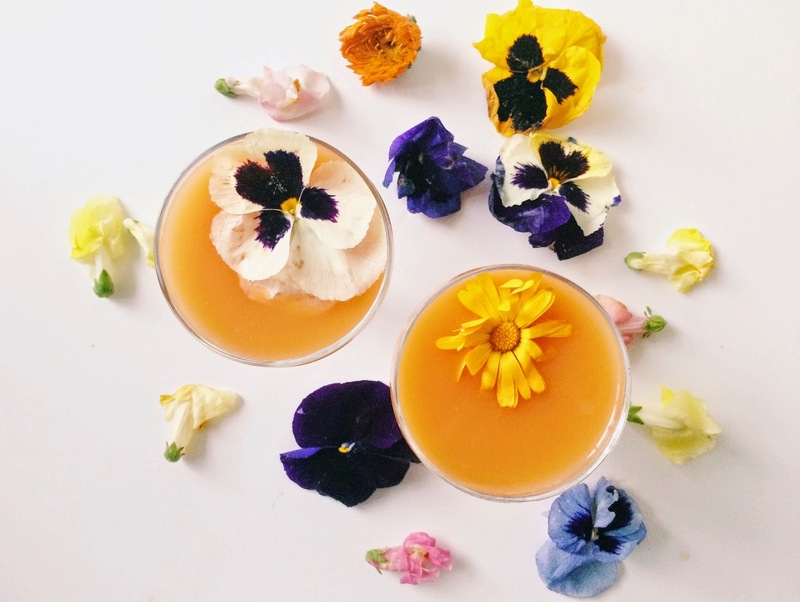 Add Edible Flower for garnish. Peel and chop ginger. Add sugar, water, and ginger into a saucepan and place on high. Once it has come to a boil, turn to low for 10 mins. Take off the heat and add basil leaves. Let the syrup cool completely before straining into a jar. You bet I was! In elementary school I gave an anonymous one to this boy named Jeremy. Evvveerrrryyybody had a crush on him (you know how that can be) and then my friend's made fun of it because it was handmade & because *somebody* had actually acted on the crush. I don't think I ever ended up sharing that I'd been the valentine sender… haha. Happy V day! Not nervous before… Embarassed after! My super-hot boyfriend had a wicked sense of humor, so I picked a funny card. The front said something about Snow White's eighth dwarf, Horny. He gave me a beautuful card that talked about how special we were together. I appreciated his card, but wanted to die!!! Now that he's my husband, I always lean toward the sappy! Oh gosh! You looked like you had such a wonderful time – so sad to have missed it! While I was home over the holidays, I uncovered a box of letters my friend and I mailed each other for years of elementary school (we lived next door and still sent them with actual postage…). I have stacks of letters like this, so I can't say I've ever been shy about giving a card, or a Valentine for that matter! What a lovely event. I'm so sad I had to miss it. 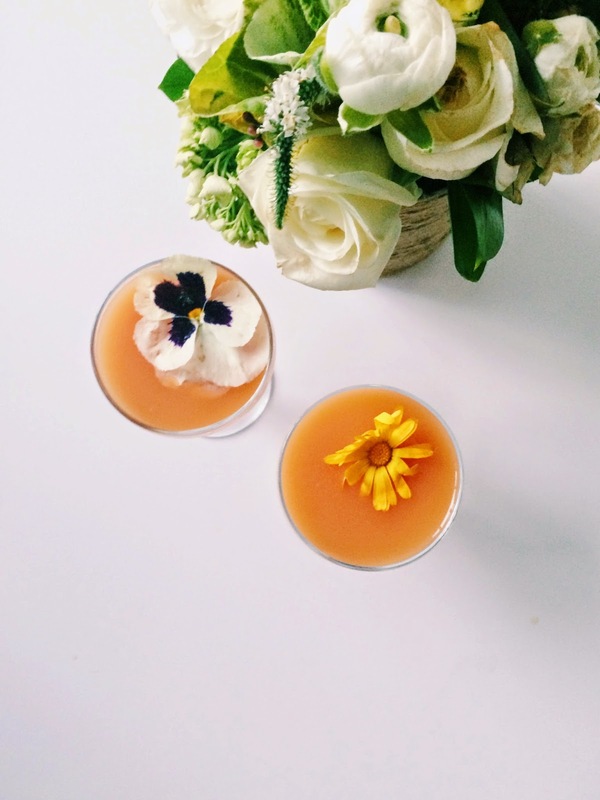 But I pinned that cocktail recipe and I will be making myself a pucker up as a consolation. I never gave sending Valentine's cards much thought. It was always simple, signed greeting cards to family and good friends, until I was in Highschool. I sent one to a close friend who happens to be a boy. In return, he sent me one with a letter saying all the sentimental and beautiful things about our friendship. Needless to say it change my view on Valentine cards forever. Now that I'm older and wiser (hopefully), I send my cards with much enthusiasm of letting them know how much each and every one of them mean to me. Carla! I know! Too bad! I was really hoping to catch up with you. But yes, drink your Pucker Up cocktail & think of us! 😍 Thanks for pinning!! I've only ever given them to friends or if I was in a committed relationship, so never scared! You're an amazing writer. Keep up the awesome work! Glad that you're back posting again!